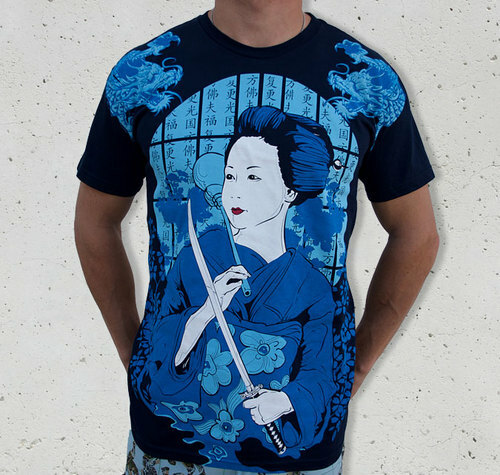 Even if it’s about big sites like emptees, design by humans, teetonic, deviantart or less known sites, most t-shirt designers who think about gaining some profit from their own creativity, are hunting the most recent contests, in order to emphasize their artistic skills, as well as for the prize, of course. Because every designer’s dream is to see his pattern printed and worn. It’s one of the best ways to promote himself as an artist, after all. Gathering millions of members, these sites give the really talented designers the possibility to reveal themselves. And because not everyone who has a great idea for a t-shirt design also has the possibility to get it printed, this is just the chance for many to step into the spotlight. These kind of competitions stimulate designers to focus their creative energy and to make a difference. The coolest thing is when u see that a great designer (especially if it’s in the same contest) appreciates your design or comments on it. We gave it a shot with Design By Humans in 2 contests. These are the clip-art vector t-shirt designs we’ve promoted. 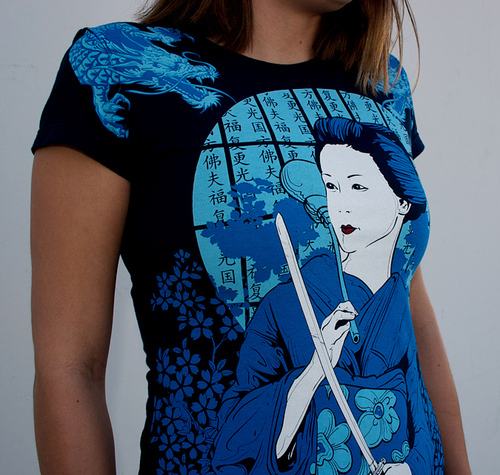 The biggest satisfaction came when we found out we’re the winners of “T-shirt of the day”, with the “Japanese Autumn”, and we are very proud about that, seeing that our work is really valued. We can tell you that it looks amazing printed. But we only hope you have the same thought seeing it for yourself :). Even if the selection/voting criteria are different from site to site, depending on different artistic preferences or on the number of persons who give their vote, the most important of all remains… the competition itself. Congrats ! you guys put out awesome works in all your products..
more sharks and mixed martial arts PLEASE!!!!! Thanks to share your experience with us, so you can re-examine their own personal bias and thinking habits. Great stuff, toogood to be true!